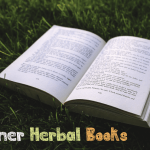 These herbal medicine books offer a detailed way to learn about the herbs that you keep at home, and could keep at home! From the medicinal benefits to the kitchen benefits, you can find herbs that suit any of your needs. Each of these books offer a ton of value in their information, illustrations and facts. 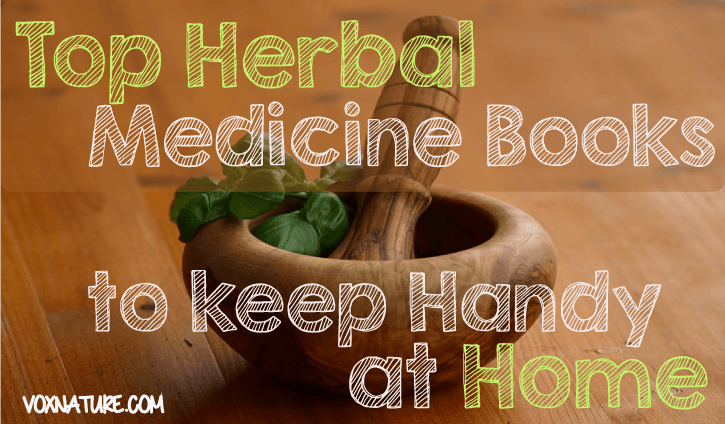 Below are the 26 recommended herbal medicine books to keep handy at home. Full length, large hardback book filled to the brim with 350 beautiful, full-color photographs depicting the most popular medicinal herbs around the world. Not only does this book deliver valuable photos, but it offers the reader botanical drawings, maps, and details on an abundance of herbs and spices. Lesley Tierra compiled an extensive and delightful book with facts, check lists, herbal bed time stories, funny stories, coloring pages and more to engage young herbalists. It’s perfect to introduce your child to the wonders of herbs, complete with detailed, how to sections, mythology for children and other pieces of herbal information for children. Recommended to young children getting introduced to medicinal herbs. In a modern day classic book, Breverton delivers a reworked edition of The English Physician and Complete Herbal, a book that was published in 1653. It contains useful facts and figures, detailed illustrations and over 350 years of wisdom. In a comprehensive collection of fascinating interviews, Hardin compiled a series of conversations with some of the most thought provoking herbalists in the 21st century. With 21st Century Herbalists, you can learn a wealth of information on underutilized herbs, inspiring advice and traditional herbal healing methods. Among the 21 intriguing herbalists, Hardin spoke with David Hoffman, Ryan Drum, Susun Weed, and Kiva Rose Hardin. Get one for you, a friend or a family member today! In a recently published book, Dawn Combs pulls from her own personal troubles with fertility to create an in-depth, completely unique guide. The book provides couples with different fertility problems with a guide in creating the perfect balance in preconception, pregnancy, lactation and so on. There is an onslaught of information on hundreds of herbs, sharing their roles in building healthy babies. In 2014, this herbal dental care guide was released by Leslie Alexander, a medical herbalist, and Linda Staub-Bruce, a registered dental hygienist. The guide provides 41 safe, effective and useful herbs that promote oral health, prevent decay and provide pain relief. It encompasses a wide variety of different herbs. One of the older books on this list, but it certainly doesn’t lack in information! It’s essentially an encyclopedia of herbals material and provides information on folklore, medicinal properties, botanical information, economic and societal use and more. There are over 160 illustrations to give readers a clear look at each plant. Written by the holistic veterinarian, Dr. Randy Kidd informs the reader about the various herbs and spices that are safe to be used for and around cats. This complete guide provides introductions to holistic cat health, demonstrates the way the herbs work for cats, dosage, delivering the herbs into the cat’s system and potency levels. Another well-written, all natural guide to how herbs can be used to care for dogs. The guide compiles all the information the reader may find valuable and interesting, including tips on the best herbs to use, how they work, dosing and methods to deliver the herbs. A full recipe book for 150 natural handmade herbal medicines you can keep in your medicine cabinet. Not only does this book let you get rid of artificial balms and medications, you can create your own, especially for you remedies. One of the few hands-on guides to herbal medicine for young children, Clark explains the different side effects traditional medicines have on children, and provides safe all natural alternatives. Along with an in-depth introduction to herbal medicines, you can also find the different herbs, how they work and what you need to know when using for treatment. A thorough, practical handbook for any beginner herbal medicine maker. Complete with detailed recipes, images and instructions, any beginner can begin to learn the basics and then some. Filled with simple, easy to make home remedies, Gladstar makes it clear she is knowledgeable on the subject. She provides a number of proven to work remedies, folk wisdom on the topic and step-by-step directions to prepare each remedy. In this revised second edition, one gains access to even more useful herbs. With over 192 medicinal herbs, you can learn everything from proper dosing to how they affect different body systems. It also boasts information on extracts, properties, actions and preparation. Find the best herbal remedies for stomach troubles, fever, the cold and colic, along with a mess of other child illnesses. In addition to dosing charts, Gladstar provides profiles on each herb needed for the remedies. In a book all about the natural alternatives to commercial pharmaceuticals, Gladstar provides profiles on over 50 herbs that can be used to treat common ailments. Medical herbalist, David Hoffman, created an extensive book on the subject of maintaining the human body as we grow, treating health concerns and preventing others. Along restorative herbal treatments, he provides recipes to protect the major systems. 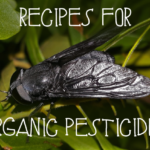 For a complete organic pregnancy guide, you don’t need to look any further. With detailed information on the use of herbs for nutrition and safety during your pregnancy. A must have book that focuses on treating and protecting yourself against viral infections with natural treatments. Buhner lists the different plants that have shown the most resistance against viral infections, as well as how they work and how you can use them. Rosemary Gladstar recommends a variety of herbs to ensure you live a long, healthy life. Complete with images, Gladstar outlines the properties of different herbs that support heart function, brain function, nervous system health, stress and other aspects of the body. Over the course of 666 pages, David Hoffman provides an extensively researched piece on phamacognosy, and plant medicines. Be introduced to 33 of Rosemary Gladstar’s favorite herbs, and learn why she uses them so much. From their restorative and soothing properties to their flexibility. Considered a highly essential book, Stephen Buhner compiled a full-featured book on improving your immune system against drug-resistant bacteria. He offers natural plant ingredients and medicines to combat infections that can’t be cured by today’s medications. Over 300 species of herbs can be found in the Pacific West, and Moore compiled a comprehensive book on them all, detailing everything from their appearance to uses and habits. If you suffer from stress and anxiety, you can rest assured knowing there are herbs that can treat these problems, along with depression. They work double time to strengthen your nervous system, as well as provide soothing stress relief. James Green delivered with this book on the medicinal use of herbs for male issues. 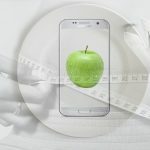 He focuses on prevention and health rather than the illnesses, providing personalized plans based on body type, needs and lifestyles. These are all among my #favoriteherbalbooks. Am I missing any that should be included in this article? Please share in the comment area.